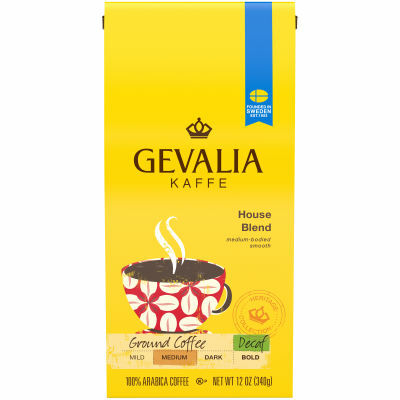 Gevalia Decaf House Blend Coffee - Enjoy a flavorful dark-roast coffee without the caffeine with Gevalia Decaf House Blend. Made from 100% Arabica beans, this medium-bodied coffee has caramel undertones that will awaken your taste buds. - Smooth, rich and never bitter, this coffee blend will make you want to slow down to enjoy. Every package is pre-ground and sealed for freshness so this flavorful blend will always taste its best.